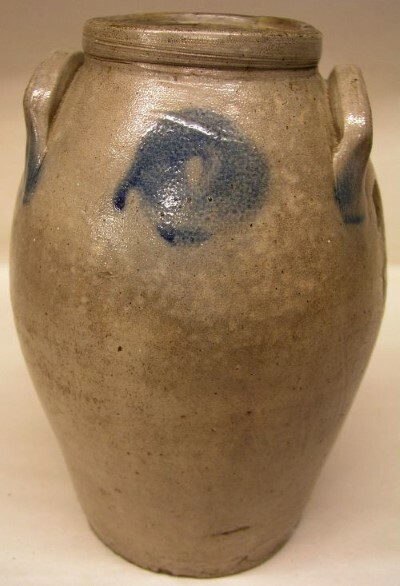 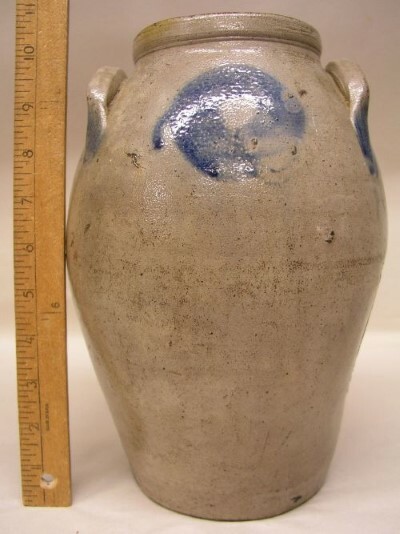 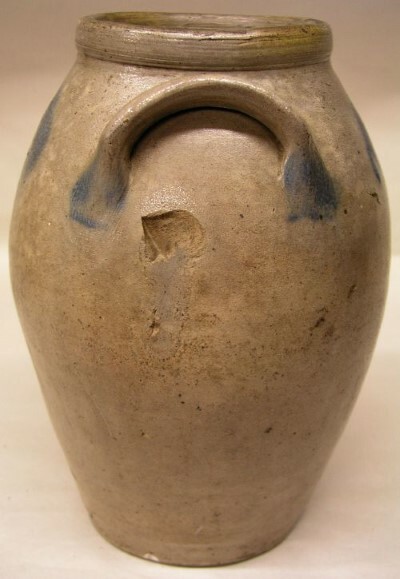 Small size stoneware jar with blue decoration around handles and round blue circles on both sides. 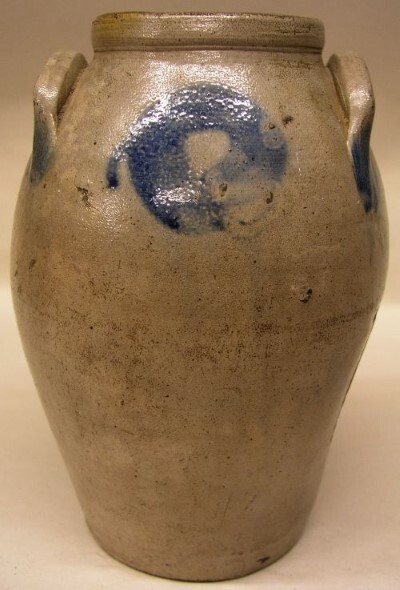 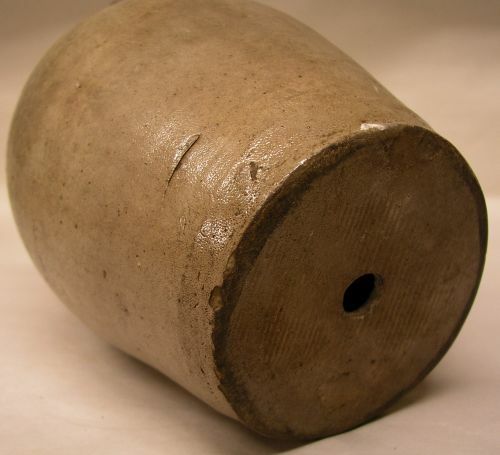 Has a chip along top outer edge a pop mark below one handle a mark along one side where it touched another in the kiln and a hole in the bottom where it was used as a lamp. 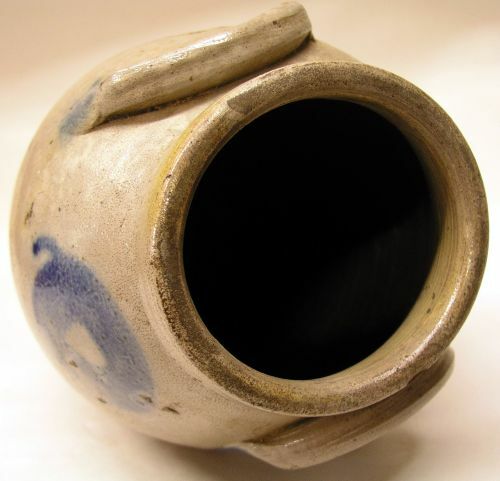 With that said it`s a great little piece and wonderful size. 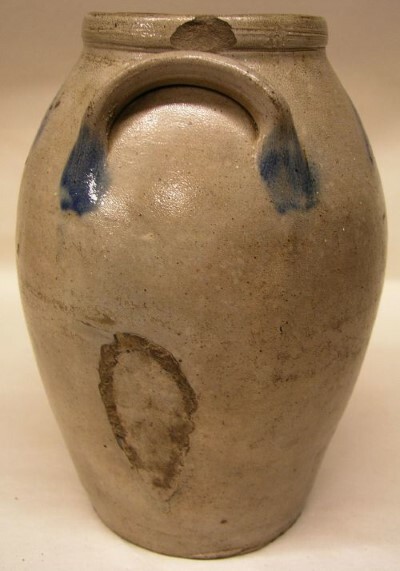 Dimensions: Measures 10.5" tall X 4.5" across the base and 3.25" -3.75" across the top.